I've been blogging quite a bit about the talks at The Nameless Arte last weekend, and this lovely picture of authors Gemma Gary and Andrew Collins at the conference on traditional witchcraft was sent to me by Michelle Izzard. 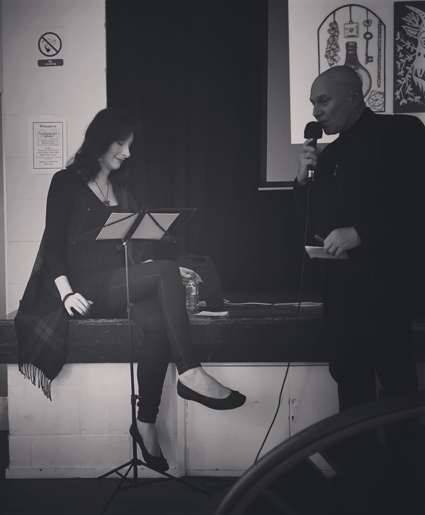 Gemma's first book was called Traditional Witchcraft - A Cornish Book of Ways, and her talk was about the background and influence behind her work. I have to say I have owned a copy of the audio version of her book for some time, but not got around to listening to it yet. I really must do so, because her talk was fascinating. You can view the paperback of Traditional Witchcraft - A Cornish Book of Ways on Amazon.